A firefighter from the Birmingham area has made a short film which will be shown at this weekend's Birmingham Sidewalk Film Festival. The film will be shown Saturday, September 23rd, at 1:30pm at the Alabama Theater. 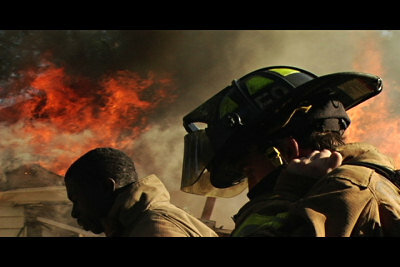 I made a motion picture documentary about a LIVE BURN that took place last year in Harpersville, Al with Rocky Ridge Fire Department while volunteering with them. I had an original score composed and recorded by my good friend Steve Lewis that includes musical performances from members of the Red Mountain Chamber and Alabama Symphony Orchestras. Very nice soundtrack!! Overall this is an inspirational work with some wonderful footage of a fully involved house fire. I dedicated the film to the ES Community of the Birmingham Jefferson County Metro Area.